Culligan’s reverse osmosis system can be customized to fit your specific water needs and does not require a bulky attachment on your tap. That’s only part of the reason why the Culligan® Aqua-Cleer® Advanced Drinking Water System recently saw a glowing review from Columbus area resident Tara Kuczykowski at Unsophisticook. 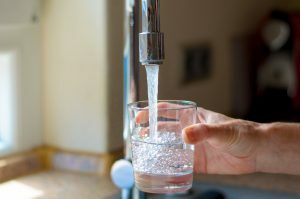 As Tara mentions, if you have been buying bottled water for years, you have already paid for a RO filter many times over. Watch Tara run a “tea test” with the Culligan Aqua-Cleer and ClearLink PRO™ system and see the difference for yourself!